The Red Margins: On the Theme of Naturalistic Acting . . .
On the Theme of Naturalistic Acting . 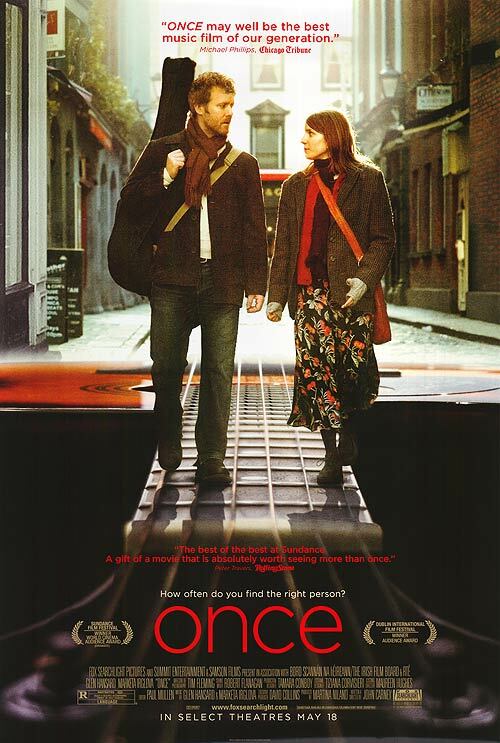 . .
One of my favorite movies for its acting is Once, the indie film of a few years ago that told the story of two musicians in Dublin. The scene in the piano store is one of my favorite scenes of all time. The song is beautiful, but I especially like the beginning of the scene where they're feeling their way through the song. It's cool to see how musicians might work and also to see the little flickers in Glen Hansard's eyes as he realizes Marketa Irglova might be something special, musically. Funny note: Until I went onto IMDb to look up the characters' names, I didn't realize that we never learn their names in the movie.